First things first. Gotta find a place to hang your hat before you can even think about where you’re wearing it out to. 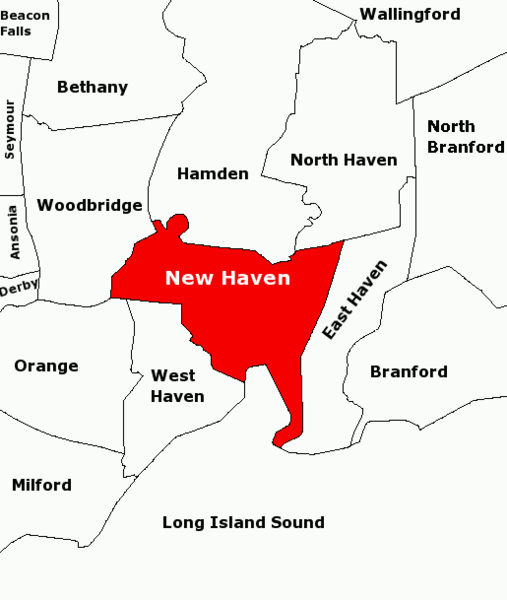 So tell me, New Haven aficionados, what’s the best place to live here in New Haven? Okay, maybe that’s a bit of a loaded question. The best places to live in the region may not be at all financially obtainable; certainly not for a scrappy little punk like me. But that doesn’t bar the possibility that we can find a cheap garage loft that some wealthy McMansion family might be willing to rent out for cheap to a college kid who’s willing to do some indentured landscaping. So instead, how about the New Havenites sound off in the comments about where they have lived in the area. What made it so special, and what nagging little aches about it had you counting down the days till your lease was up? For a person like me (mid-twenty something moving to the area for full time work), a town house apartment in Fair Haven Heights is the place I was looking to get started. Read on for more about my new haven in Fair Haven Heights. But I will. My shower appears to have some type of restraining order from hot water, because it doesn’t seem as though hot water will come anywhere near it, much less come out of it. I don’t have a dishwasher. And I have this to say to those who say they can’t live without a cell phone or tv: Try a month without a dishwasher. My bathroom, which is wee (no pun intended? ), has THREE light switches for each of the lights inside. Why not one switch to rule them all? Every time I strut out forgetting to click the switch back by the toilet, I fill with fire and brimstone. I found dog hair from the previous tenant’s dog in the FRIDGE today. And right by the Newcastle no less. And then there’s the construction going on down the block. And I hear cars go ROARING down my block at 4 am, which kind of gives me a heart attack. And if I go a little too far down the street, I am approached by intimidating, broad shouldered bruisers DEMANDING (not asking) a ride downtown because they need to get money they are owed from someone. Something about how it was mom’s fault, and he’s running late, and he’s got to get paid. Staying away from that block from now on, that’s for sure. But such is moving out on your own to a metropolitan area, yes? These are little things. These are character things. These aren’t things about where I’m living, but about where I’m at now in life, and amongst such little aggravations is my new home. From what I can tell, my place in Fair Haven is the perfect place for me to dig my roots in the ground and see where I grow around here. Oh, my new friend, I TOLD you, before you even got here, to tap my sage advice on where to settle in this great city of New Haven (by the way, it’s New Haveners, not New Havenites). But, alas, even if I had steered you from the Heights to somewhere more akin to your “musically geeky” persona, I could not have guaranteed a fridge free of dog hair. I hope you settle in without further disappointments, although I would have whispered on your Facebook wall: “Orange Street.” Is it too late? Well Ed, I’d rather have you in my corner than the realtor who sold me on place. She had a thing for wearing nothing but LIFE IS GOOD shirts, whatever that’s about. But I am actually quite fond of the place, quirks and all. I’ll check out Orange St. when the ink on my lease starts to try. And bare with me as I shake out my New Haven slang, you ol’ New Havener. 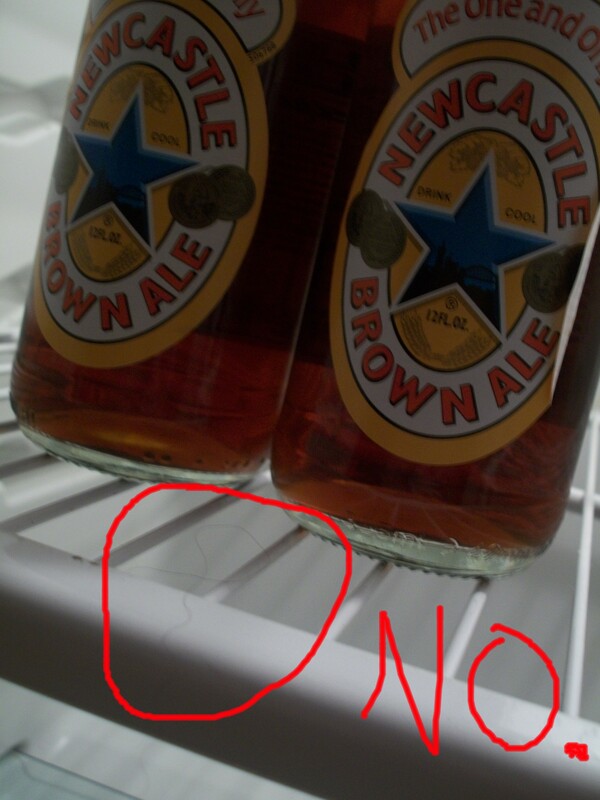 1) As long as hair wasn’t IN the Newcastle, you’ll be safe. 3) Are you really up before 6 AM posting comments to your blog?? That’s just crazy! Better have the water tested. don’t worry, the Newcastle has been secured. the time stamps here are a little misleading; haven’t adjusted blog to proper time zone yet. you won’t ever see me up before 6 am doing anything. except if i haven’t gone to bed yet – which certainly isn’t rare.